It's not that these buildings are ugly (they aren't very nice) but in very dense cities : there are ONLY these buildings. Plus : I find level 60 too small for the highest buildings. the project : create many new buildings for pak128 wich have a higher level than 60 BUT there must are various building to have the highest level. I'm making snow view for these buildings. the highest level is 80. Post here your city buildings and ideas ! You know how you have the small construction site, the small reddish ground and yellow consttruction vehicles which comes before every new building, it could be changed into one which has cranes constructing something like a half or 3/4 unbuilt (probably a concrete skeleton) building as a construction site, before these new better buildings appeared. You're right but I can't change this, it's a programmer's work ... but Prissi is to busy at the time. Instead of changing ST, I can make buildings with crane but they doesn't necessary appear before high buildings and it would stay a long time before replacing by a complete building. The problem is that there is only one graphic that has to fit all building levels. From a small one story bungalow to huge skyscrapers - and I think a small construction site for skyscrapers is less baffling than a huge one that only produces a small building. So IMO the current way isn't that bad. There should be various construction sites to be chosen by the addon creator. We would be sure that there will be the good construction site. IMHO that's just a waste of time and resources. Everything like that will make simutrans a bit bigger and a bit slower - and a bit harder to maintain. I doubt this is worth it. I think that, above, was supposed to be a wink, and a smile, for some reason, I don't have any smileys in the Quick Reply box, below. for some reason, I don't have any smileys in the Quick Reply box, below. That's because it's just what it is: a Quick Reply box. For full features you have to use the normal "Reply" link - there you get all smileys, attachments, etc. Thanks for for your help and also for reminding me, Dirk. I don't like quoting but I have to do that - dark buildings on the left of city hall are nice (not beautiful, only nice), also grey buildings with stripes on edge (on the right end of picture) but light grey buildings with blue ?windows on the right of city hall are very ugly. Woooooooooooooooooooooooooooow... I would wistle on the keyboard typing, but don't know how to. but light grey buildings with blue ?windows on the right of city hall are very ugly. Good idea, they indeed dont go very well with the back skyscraper. So. Here is else high building. 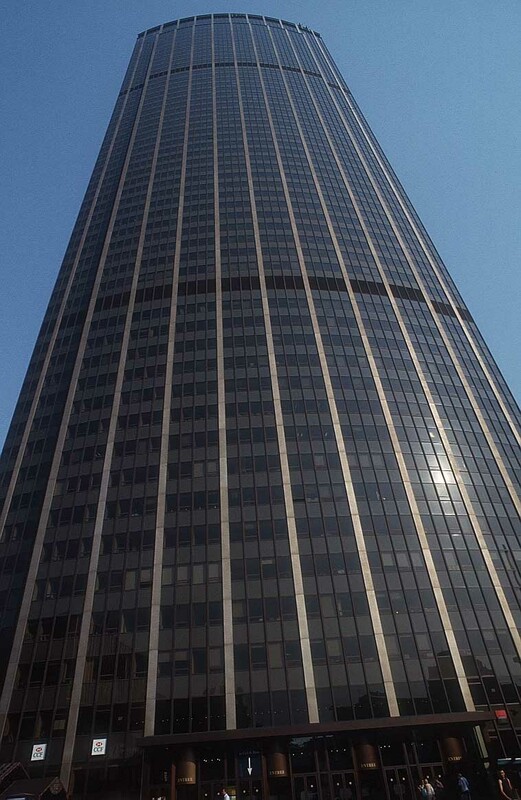 Except buildings of the commercial district "La Défense", this tower is the only one in Paris. It's the building that will replace current RES_SNFOS_02. Do you prefer the two on the left or the two on the right ? (the difference is between each window). The most important are resistance to earthquakes and safety of the buildings. Which do you think is more resistent to earthquakes and safer and secure ones (I'm talking here fire escapes, flooding and other emergencies)? But if they are considered a reality, I think all of them are beautifull architectural types and also safe and secure ones. So, I'll choose the 2 ones on the left side. Anyway, I think it should be your choice because it's your work. I like the ones on the left better. Anyway, I think it should be your choice because it's your work. There are two buildings, one with level 80 (current max level of all SNFOS high buildings) and one with level 40. Each one has two orientations and a snow graphic. You see, it's not very nice in architecture, it's almost the mirror effect on south windows ... : (just a sky picture found with my friend google ). Why do they have a shadow at south and east sides if there's nothing that may cause it? It only happens in first floors.. If you want me to update the downloadable files, you can ... you MUST ask me for that ! last work ! RES_SNFOS_07 (you can name ).